19 cm xv, 184 p.
Fragments of The Secret have been found in oral traditions, literature, religions and philosophies throughout the centuries. A number of the exceptional people who discovered its power went on to become regarded as the greatest human beings who ever lived. Among them: Plato, Leonardo, Galileo and Einstein. 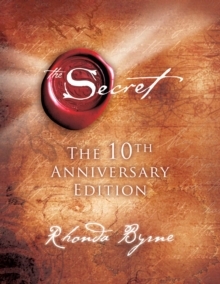 Now 'the secret' is being shared with the world. Beautiful in its simplicity, and mind-dazzling in its ability to really work, The Secret reveals the mystery of the hidden potential within us all.